Editor's note: Emily Waldon will be providing regular minor league recaps to keep you updated on what's happening in the Tigers' farm system. Be sure to follow Emily on Twitter at @wefoundwaldo2! 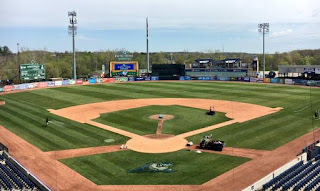 After splitting their four-game home stand at a game apiece against the visiting Fort Wayne Tin Caps (19-17), the West Michigan Whitecaps (17-16) looked to lefty Trent Szkutnik (1-0, 1.35 ERA) to make just his second start in nine appearances with the Whitecaps. Szkutnik used a brilliant performance to prove he was up for the challenge against the TinCaps. 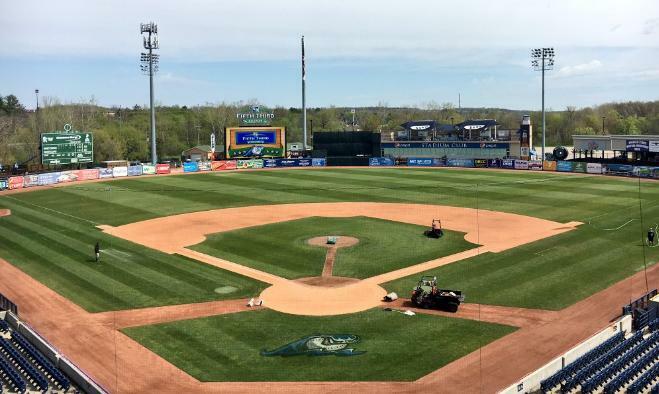 Working five innings for West Michigan, Szkutnik sent five packing, holding Fort Wayne to just one run off five hits in his five frames for the Whitecaps. West Michigan backed Szkutnik with doubles from Rashad Brown, Will Allen and Cam Gibson to add to a 12-hit night for West Michigan. Brown and Allen each contributed a pair of RBI, with Brown extending his hit streak to three straight games with the Whitecaps. In relief, West Michigan southpaw Toller Boardman (2-3, 1.35 ERA) was equally sensational, working four scoreless frames, fanning five and holding Fort Wayne to just three hits to earn his first save of the season. With the 7-1 final, Szkutnik receives his first victory on the year with West Michigan and the Whitecaps take two game series lead over Fort Wayne. Szkutnik and Boardman dominated the TinCaps, combining for nine innings of one-run baseball, striking out 10 against Fort Wayne. The outing marked Boardman's second five strikeout performance, marking Szkutnik's first of the season. West Michigan outfielder Jose Azocar fell flat at the plate, finishing 0-for-4 on the night, marking his second hitless night, standing at a combined 0-for-7 in his last two appearances. West Michigan and Fort Wayne return to Fifth Third Ballpark on Sunday afternoon to conclude the four-game campaign, beginning at 1:00p.m. Whitecaps righthander Kyle Dowdy (1-0, 1.02 ERA) gets his first start, facing Fort Wayne righty Walter Lockett (1-2, 3.32 ERA) in the finale.